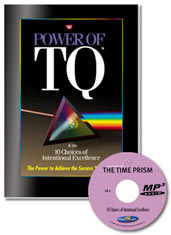 In addition to our entire family of powerful TQ products, systems and resources, we now offer a series of extraordinary books that will help you dramatically improve your TQ: Your power to produce exceptional Results over Time. Each builds on the other to provide the reinforcement, knowledge, information, motivation, inspiration and facts you need to fast-track your success. The world's first virtual book on personal and professional excellence! Answer 10 simple questions in 10 areas of your performance and we will write a 172 page, custom-published, made-to-order book all about you—JUST you! 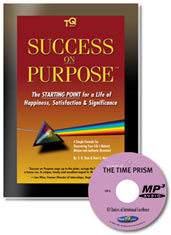 The Starting Point for true success: a life of passion, purpose and mission. For people who want to live their BEST life, NOW... a life of Happiness, Satisfaction and Significance. Inside this powerful, 524 page book (plus 8 CD's), you will find everything you need to discover your Natural Mission in life—giving you the Authentic Direction you seek. Master your time and you become the master of your own destiny. Fail to turn your time into a personal Money Machine, and you fail to achieve the success you so richly deserve: Financially, personally, professionally and in all your relationships. Every great man or woman has mastered this success-critical skill, and you can too. This eBook is fully interactive and connects the dots between what you want most and how you expect to get it. More importantly, it begs the big WHEN question, "If not now, WHEN will I live my dreams?" If you are interested in greater achievement — SOONER — this book will not just change your life... it will change your future. 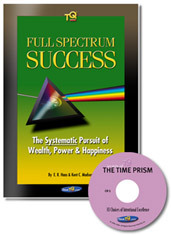 Revelations of The Time Prism: Full Spectrum Time Management is the definitive guide for maximum use of your most precious resource,TIME! SALE! 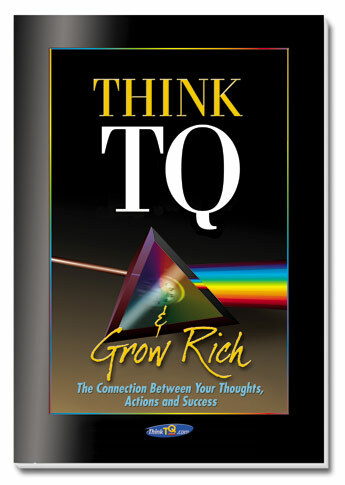 We want every member of TQ to harvest MAXIMUM VALUE from every precious minute in the day. This eBook is yours today for just $10. Simply pop in ear buds, press play and learn while you burn! Every time you run, jog, dance, work the treadmill, bike, hike or ride, you will get a shot of super-powered ENCOURAGEMENT, learn something new and wonderful about your SUCCESS potential — and yes — you will get a frequent whack on the side of the HEAD to get you off your "buts buts buts" and into the game. You CAN become your own Action Hero, making your life an action adventure — but, get this — you will have to learn to take bold ACTION. Which is EXACTLY what Success Essentials does FOR you! You LISTEN... You LEARN... You BURN! Includes a FREE copy of Revelations of The Time Prism! Do you ever wonder why some people make it big while others seem to struggle their entire lives... working hard, but failing to measure up to their own hopes and dreams? Over the years, we have found that people THINK they know the path to enduring success — but something just doesn't click. In other words, they work their heart out, but constantly come up short. Which is WHY we wrote Think TQ & Grow Rich. SALE! We want every member of TQ to achieve prosperity beyond measure. This eBook is yours today for just $10. Take your career to the next level and beyond! 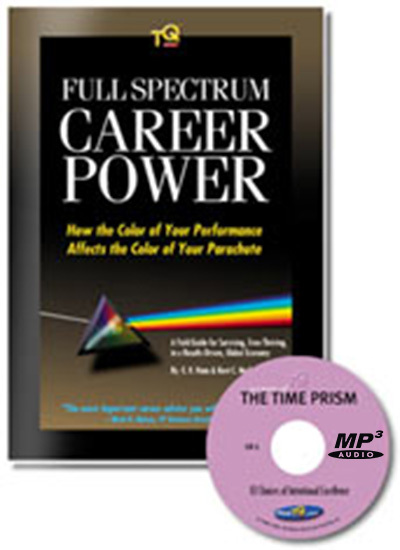 Full Spectrum Career Power will give you the tools to out-smart, out-hustle, out-perform and out-produce your competition... making you the obvious choice for career advancement. PERFECT for people just starting out... seasoned top executives... and everyone in between! 268 pages. 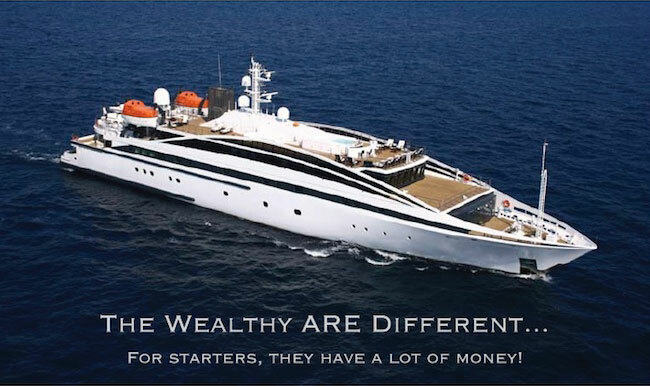 Looking for the secret to Wealth, Power and Happiness? Follow the advice found in this short 148 page book, and you will understand exactly HOW to achieve success beyond your wildest expectations. The PERFECT book for everyone in your organization... starting first with YOU!